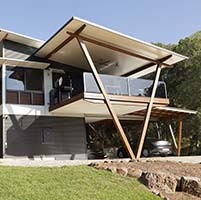 aardvarc architects have been awarded regionally and state wide for their practical and unique approach to sustainable design. 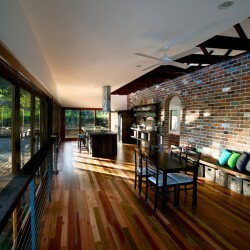 Director Mick Hellen was a carpenter/joiner by trade before becoming an architect by passion. 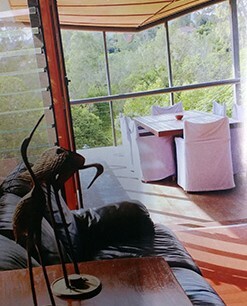 His skills and practical approach filter through aardvarc staff and office to produce unique design/living experiences. Jaye Irving has been flying the green banner of sustainability for nearly 14 years exploring the relationship between the natural and built environment. His work has taken him around the world researching grassroots green design. 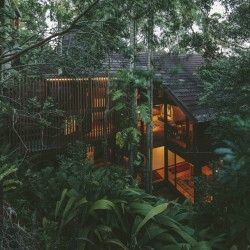 This global view has fortified his skills in natural materials, Permaculture and passive design systems. 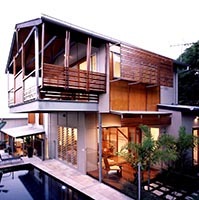 Based in southeast Queensland Jaye’s multi-award winning practice has developed numerous sustainable housing models with a strong focus on reducing the impact of housing on the environment. Biscoe Wilson Architects have received industry and peer recognition, as well as client appreciation of their work in the fields of Environmentally Sustainable Design (ESD) and Positive Development. Our projects include work in residential, commercial, education and industrial sectors. We encourage our clients to investigate “Green” initiatives in their projects. 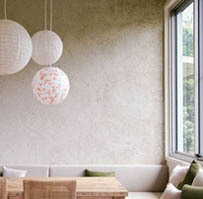 Cocoon Design: beautiful, sustainable, spiritual. Cocoon Design create innovative solutions to support your life at work and play. We strive to create shelters which sustain spirit whilst treading lightly on the environment. 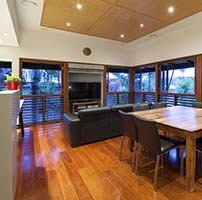 Developing Eco Effective Solutions stems from understanding a client’s needs, wants and ideas about the environment. Founder of Eco Effective Solutions, architect Mark Thomson has studied Building Biology and taught Healthy Building solutions and is active in the sustainable building scene. Mark believes “Designs which integrate vegetation, access for all ages, resource and consumer efficiency and material lifecycles provide Eco Effective Solutions which are right for YOU”. Ecolibrium Designs is an award winning design studio specialising in the design of environmentally sensitive buildings and sustainable property planning. Sustainable design is all we do. Ecolibrium strive to provide building designs that are not only energy and cost efficient in terms of day to day functioning and construction but also create environments that are inviting, inspiring and comfortable. 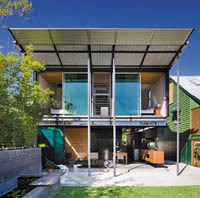 Jim Gall is a Professor of Design at QUT and Director of Gall Architects, and has developed a profile as a leader in sustainable design in Queensland. He appreciates the important relationship between design, culture and environment: his aim is to provide places that are not just able to be sustained but are sustaining. Jim has designed several buildings that have won awards, including the Harry Marks Award for Sustainability. 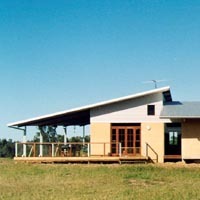 His most recent work includes a 9.5 star low cost house near Killarney, Qld. Jim’s first degree is in Environmental Science, hence his multi-disciplinary and ecological view of the world. 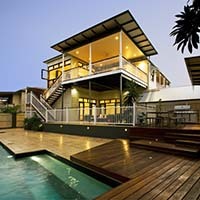 Graham Anderson Architects has been in practice for 21 years, mainly in the area of residential architecture. Their sustainable designs are underpinned by passive environmental design considerations related to siting, orientation, micro and macro climate, and physical surroundings. These aspects are synthesised with the technological considerations of material sustainability, energy efficiency, resource use minimisation, and recycling opportunities. Graham Anderson Architects offers a range of services from initial advice through to full design, documentation and construction contract administration. Travis from QUBD is an award winning Sustainable designer with 25 years experience of design and construction for new homes and renovations for all budgets. We focus on contemporary, practical, efficient and affordable designs with a realistic understanding of construction costs. At QUBD, we produce designs that promote sustainable practices and comfortable homes to suit your environment. 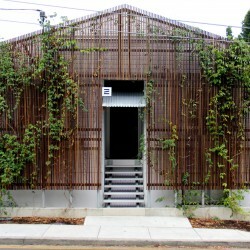 Refound aims to create simple, healthy, living spaces while supporting local ecologies and economies. After 10 years designing, Sally is currently studying a Masters of Design Futures. This has provided a much needed opportunity to reflect on the benefits and shortcomings that sustainable design has played in how we live today in a global community. What do we really need in order to adapt, survive and flourish in our rapidly changing social, economic and climatic environments? Skyring Architects specialise in creating smart, beautiful, sustainable and climatically comfortable new homes and renovations, carefully and creatively customised to their clients’ individual needs. Stephanie Skyring works closely with her clients to ensure their dreams are realised and that their design and construction process is cost effective and enjoyable. 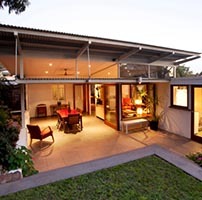 Skyring Architects offer a range of flexible services to suit all budgets from the complete architectural service, through to design workshops and advice for DIY renovators at hourly rates. Steendyk approaches architecture and design from a synergistic perspective combining multiple disciplines simultaneously to acquire the best outcome. Steendyk’s design studio works cover bespoke architectural projects to interior design, landscape design, and custom furnishings. Projects located internationally, interstate or locally. 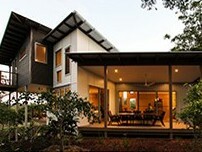 Symbiosphere is based at The Ecovillage at Currumbin, a leading ecologically sustainable development on the Gold Coast. Working in this environment has given us a strong foundation in the design, material sourcing and building strategies needed to produce affordable, sustainable housing. Our practice philosophy is one of creating streamlined, elegant spaces connected strongly with their landscape context, in buildings with very low environmental impact. Working to budget is a high priority for us and we have a particular focus on making sustainable design affordable, with a good track record of achieving this goal.